If you are like me, you remember Guadeloupe storming through the Gold Cup to the Semis in the summer of 2007. Wow, they must be phenomenally talented. I wonder where they develop such skill for a country of only 405,000 inhabitants. 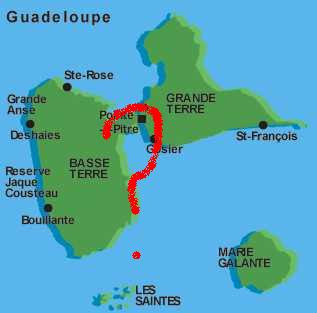 Sure, I know Guadeloupe is a former French colony, but with that skill, why aren’t we seeing them in CONCACAF qualifying? The short answer is because they can’t. As a French Protectorate, they don’t qualify for FIFA membership. What?! You say the country that produced Thierry Henry can’t play as a member of FIFA? 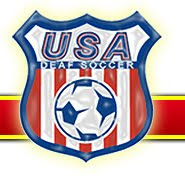 How is that possible if they played in the Gold Cup? As a Protectorate, the Gwada Boys, as they are called, are only allowed to play in non-FIFA sporting events such as the Gold Cup and Caribbean Championships. What makes this interesting is that players, if they are good enough, can declare to play for France. They can actually switch allegiances back to Guadeloupe, but only after a five year international “sit out” of sorts. The ironic part is that at some point, because of this rule, though I doubt that it would happen, you could see Thierry Henry suit up for Guadeloupe. In the meantime, players who have no legitimate chance of making regular appearances with the French National Team are left to play for Guadeloupe. Such players as David Sommeil (8 app. 1 goal for France), Jocelyn Angloma (37 app. 1 goal for France) and Miguel Comminges (currently with Cardiff City) left Guadeloupe to play overseas and returned once their national aspirations failed to pan out. That said, each spent significant time plying their trade in Europe at the club level. In the case of Angloma, most of his appearances were off the bench and he decided to return to his home country to play. Remember Lilian Thuram? The French Football player is from Guadeloupe. Thierry Henry? Yeah, as mentioned before, his parents were from Guadeloupe. William Gallas? Born in France, he could have played for Guadeloupe because of his parent’s heritage. Want some more names? Okay, Pascal Chimbonda, Louis Saha, Gael Clinchy, Mikael Silvestre, and Eric Abidal. Of those, only Chimbonda was born on Guadeloupe, but Saha, Clinchy, Silvestre and Abidal all have parents of Guadeloupe descent. There are about 130 teams and ~16,000 registered players in Guadeloupe. With that kind of development, it is a shock we haven’t heard more about the Gwada Boys. Possibly, it is because many younger players have withheld their intent to play for Guadeloupe in hopes of making it big with France. What is of note, looking at the aged players listed above and their significant roles in the success of Les Bleus, it isn’t hard to foresee a long bleak future for the FFF without its former colony keeping the pipeline of quality players going. That is an amazing article. I knew that a lot of dude for France came from there, but not ALL those guys. Is that the same deal for Puerto Rico or the US Virgin Islands? What about the Philipines? WC qualifier between Germany and New Jersey- it made no sense. I hope that things have improved since to allow more player development from an untapped talent pool! I'm not sure if their practice pitches have improved much as Former CONCACAF president Jack Warner would frequently receive money from FIFA to dole out to member countries to improve their fields and training facilities but as Guadeloupe is in the precarious position of not quite being a FIFA member, he has failed to give much to Guadeloupe for soccer development. Case in point, here is their 7500 seat NT stadium, Stade Rene Serge Nabajoth: http://www.google.com/imgres?q=Stade+Ren%C3%A9+Serge+Nabajoth&hl=en&sa=X&biw=1024&bih=581&tbm=isch&prmd=ivns&tbnid=3QMfl7uZqk3SQM:&imgrefurl=http://www.fussballtempel.net/concacaf/GDP/Najaboth.html&docid=vo0iqpJJXO9TgM&w=565&h=334&ei=hQpHTqjKDo2EsgLdu-n7BQ&zoom=1 Hardly a place that would invoke fear on opponents or would be associated with high level soccer. Is Alexander Zahavi a future USMNT player? Bob Bradley to Fulham? Dempsey to AC Milan?